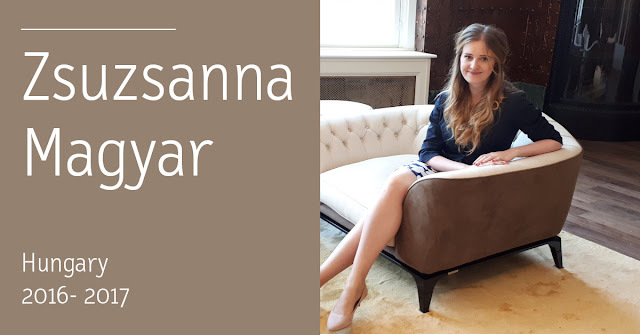 Zsuzsanna Magyar comes from Budapest, Hungary and she is alumni from the Master’s degree in arts and cultural management 2016-2017. She also has a master in philology and she is teacher of English language and literature. Being originally from Budapest and having done our master’s degree in Barcelona, what did the international experience bring to your life, especially regarding education? It showed me both the greatness and the hardness of being in an international environment and most importantly I finally realized what I want to do in my career. 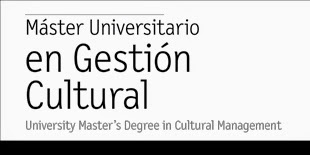 The interdisciplinary aspect of the masters showed me the different angles of cultural management and that this area is influenced by many factors like economy, finance, politics and different backgrounds. I really admired how our teachers treated students like partners: instead of establishing a hierarchy they always created an atmosphere in and outside the class where it was easy to talk to them. In that aspect I also found my classmates very inspiring: As a “typical” Hungarian student whenever I wanted to say something in classes I was always very uncertain if my answer or comment is right enough or not, but here seeing how easily my classmates could comment on the classes inspired me a lot and taught me that it is okay to make mistakes. I really enjoyed working on so many group projects as they absolutely mirrored real life work situations. Similarly, it was very practical to have teachers who are working in this industry too, not only belong to the academia. I was looking for something that is related to culture but also very practical and not defined by distant theoretical aspects. It was attractive to me that they put so much emphasis on internships and the university had an extended network of cultural associations. I definitely felt “connected” to the real world of cultural management. In this field networking is very important: you have to know the people, the organizations, your possibilities especially if you aim to work in an international environment. Creating this sense of connectedness is a great asset of UIC. Not to mention that the possibility to work with students from all over the world from South America to Russia was unique and challenging experience that I would recommend for everyone. I must also say that fact that I had the possibility to do it in my favourite city, Barcelona, was also amazing. You get a chance to visit and see from the inside such cultural institutions that define and shape the cultural life of this incredible city. I work in the international department of the Hungarian Academy of Arts. Our objective is to present Hungarian art in various countries and establish cultural ties with relevant institutions. For example, a few years ago as part of a mutual agreement with the Chinese Academy of Arts, an exhibition of Chinese art was organized at the seat of our Academy and last year we presented a great exhibition of Hungarian art in Beijing’s Today’s Art Museum. It is our aim to provide visibility to Hungarian artists and also to establish platforms of intercultural relations. During the university I was doing my internship at the General Consulate of Hungary and we were working together with MECAL Animation Festival. That year the guest country was Hungary and the Consulate organized the visit and programmes of the representatives of the Hungarian Academy of Arts. I met my future colleagues there and after finishing my degree, I returned to Budapest and they offered me a position. we should strive for finding a common denominator with other cultures and build shared values. One of the hardest thing is to put tolerance into practice, but is worth trying because it does not only give way to the creation of new values, but it also helps to understand better your roots and your identity. Mohammed, undoubtedly. He had excellent skills to teach us about finance, quite a challenge for a bunch of students mainly coming from the humanities. He always brought very good examples from the cultural life, not to mention that Mohammed is a great story teller. The stories he told us about the world of art history were exceedingly memorable. There were a lot. Working on the final project with Frieda Becker from Germany and Carolina Gómez Prieto from Columbia was really fun. As our final was project was planned in the National Theatre of Hungary it was great and amusing to see the girls so determined to cope with Hungarian names and familiarise themselves with the surroundings of our national theatre. Also, during my internship Natalie Tsvirko from Russia was a huge help for me in making the posters of our events. That was a true Hungarian-Russian cooperation. Are you still in contact with other alumni from UIC Barcelona? We still have our Whatssup group so we write each other for birthdays, also from the social media we more or less know what is going on with each other’s life. For instance, a month ago I was exchanging some messages with Mio, our classmate from Japan.